313 Bicycle Works creates custom transportation that is fun, healthy and eco friendly. We design and build complete bicycles and bicycle frames by hand, using local suppliers, materials and craftsman. At 313 Bicycle Works our mission is to turn our passion for bikes into unique frames and bikes for our customers. 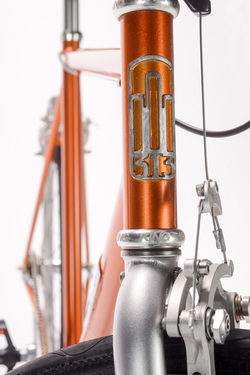 "I respect high quality, handmade craftsmanship and aim to provide a unique bike to cyclists who respect these same qualities," Mike Sheppard, owner 313 Bicycle Works.